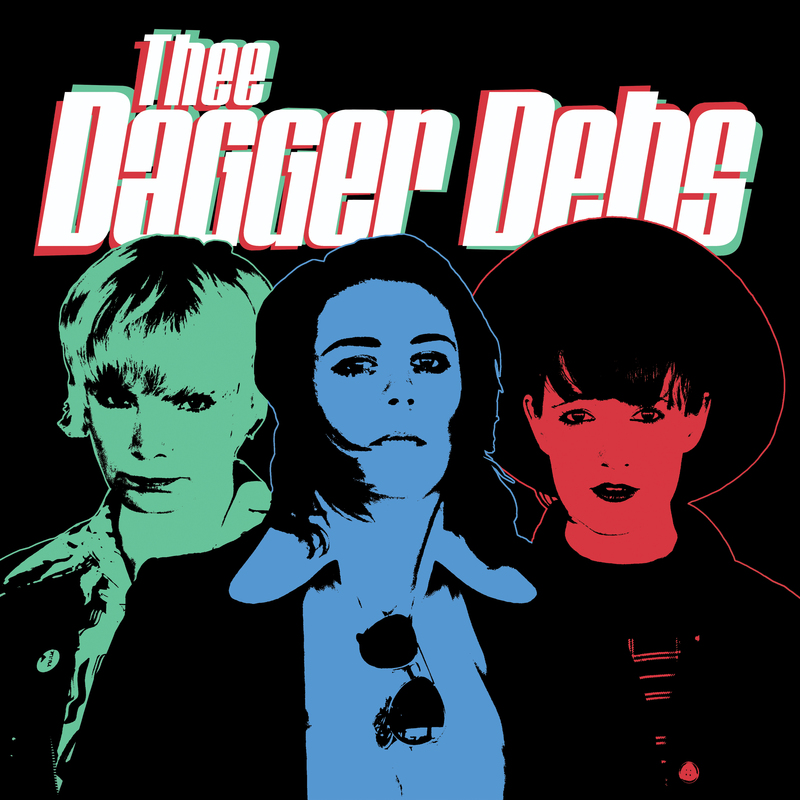 Thee Dagger Debs are three girls - brought together by their love of '60s garage, British R'n'B and '70s proto punk and pub rock; Chiswick records, The Stranglers, Dr Feelgood and Nine Below Zero always feature heavily on their playlists. Since 2011 Laura and Letty have played together in The Neasden Bees and Thee Jezebels, and since the autumn of 2016 joining forces with drummer Paula, developed their ultimate line-up in Thee Dagger Debs, a pub-rock power trio. The girls have played with bands such as Johnny Moped and Giuda, and have built up a following both in the UK and across Europe, renowned for their sweaty, high-energy rock 'n' roll gigs, followed by happily propping up the bar and dancing 'til dawn. They are now in the process of recording their debut album and beginning preparations for a tour across Europe. Thee Dagger Debs are... Paula Our tub-thumper is none other than Way Out Radio host Paula! She started playing drums when she was a mere 8 years old, and having been pounding the skins in several punk bands from the age of 13, our Paula remains busy as ever writing for music magazines and spinning records across the world. Rum 'n' coke. Letty Our Letty treats her thumpin' bassline like she does her marathons- relentless pace and a lot of sweat. You may recognise her from such musical exploits as The Sine Waves as well as her DJing pseudonym Mz Siren. The mushy pea enthusiast couldn't 'alf murder a pint of Guinness. Laura Having been in all manner of musical outfits from the age of 14, our screamin', Epiphone SG-slingin' frontwoman is happiest either on stage or propping up the bar. Also a DJ, she regularly spins her rekkids both in London and the rest of Europe. Lager top.